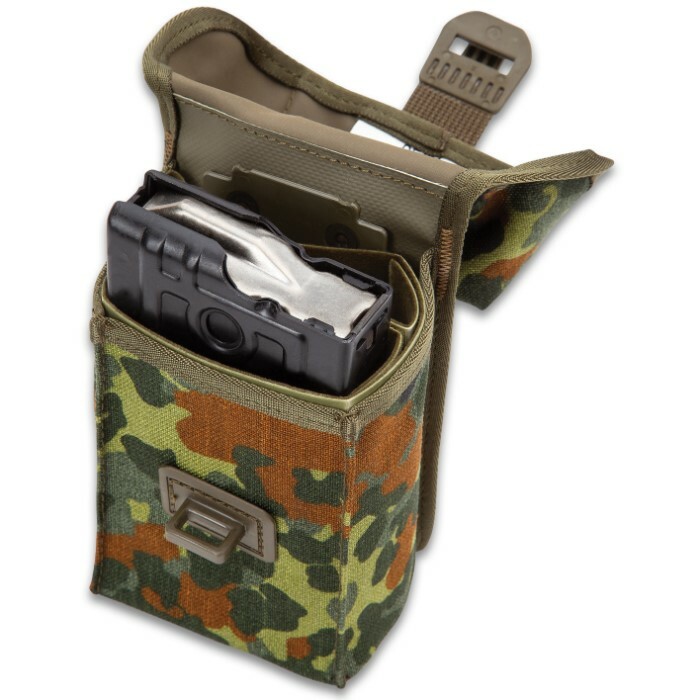 German Flecktarn Camo G3 Magazine Pouch - 100 Percent Cordura Nylon, Grommet Drain Holes, Two Internal Pockets, Tough Exterior Shell | BUDK.com - Knives & Swords At The Lowest Prices! 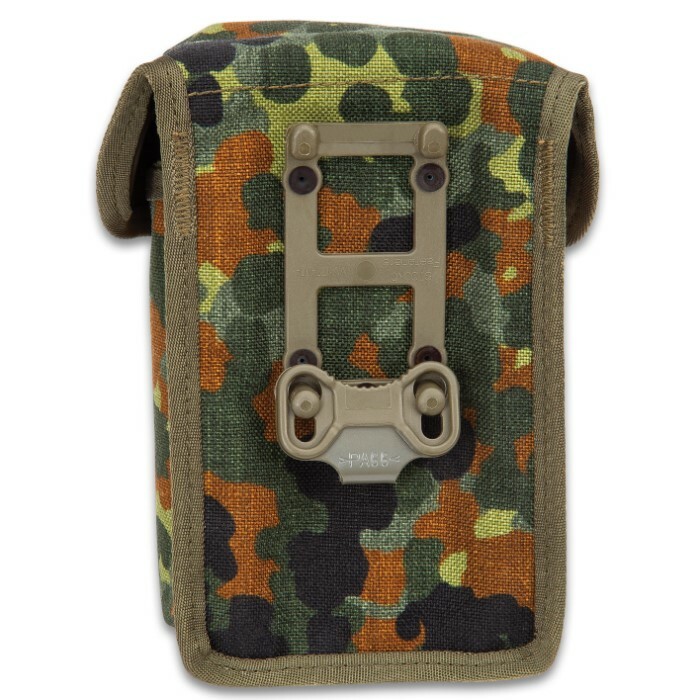 Originally designed to be a magazine pouch for the G3 rifle, today these authentic Military Surplus German G3 Pouches are perfect for holding your cell phone, GPS unit, or a variety of other tools. Compatible with the German modular system, this 100 percent Cordura nylon pouch features two deep internal pockets, two grommets for drain holes and a tough exterior shell. 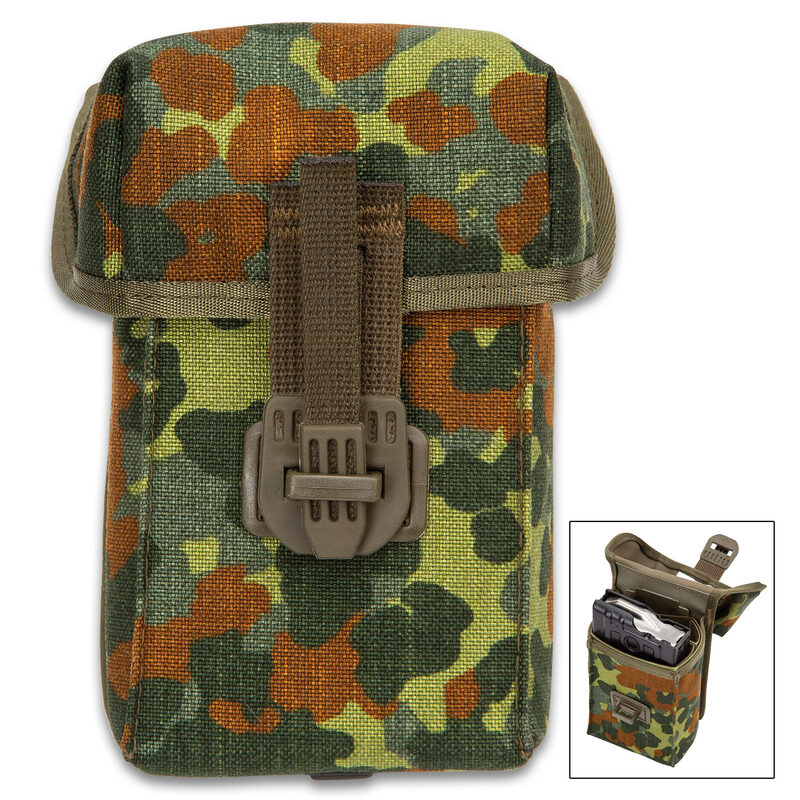 Whether you are holding two 20-round magazines, your cell phone or GPS, this pouch will have you covered.